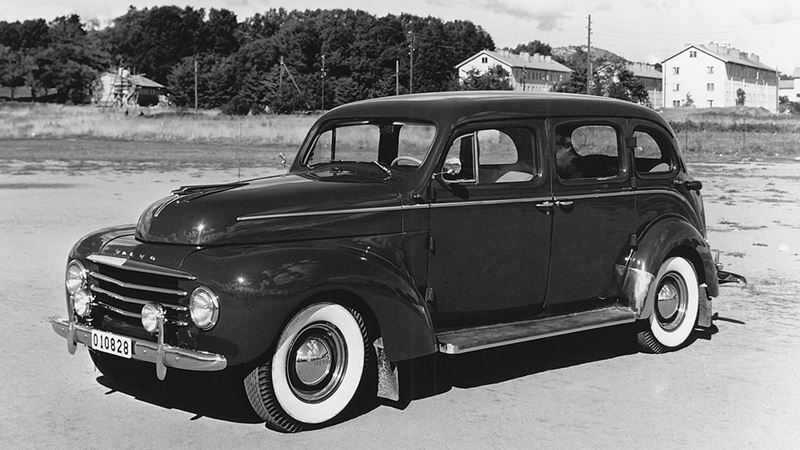 In 1950, Volvo launched a comprehensively updated version of the taxis in the 800 Series taxis. The principal new feature was the design of the front, which now had a lower profile and headlights recessed in the front wings. A new version of the PV830 made its appearance in 1953. It was intended as an exclusive car for large companies to use to transport important visitors. The exterior feature which primarily distinguished this version was the colour - maroon metallic or dark blue. The interior included an exclusive fabric upholstery. The rear seat had a folding centre armrest and there were textile carpets on the floor. Standard equipment included a radio. As taxis, these cars were regarded as being virtually impossible to wear out and a couple of them were actually used until the 1980s. One of them is once again being used in Stockholm.